Price Reduced!! Welcome home! This beautiful 3 bedroom, 2.5 bathroom 1,672 SQFT townhome rests in a quiet single-road complex that backs up to a beautiful conservation. This particular end unit features vaulted ceilings , new carpet, and new paint throughout the interior. The living room has plenty of space for your entertaining. All 3 bedrooms are located upstairs. The master bedroom is furnished with an en-suite bathroom with garden tub and spacious walk-in closet. Wonderful neighborhood location. This unit is in a small community of only 6 buildings and allows for plenty of parking room. One designated parking space and one guest space is included. You definitely want to view this home before someone else does. 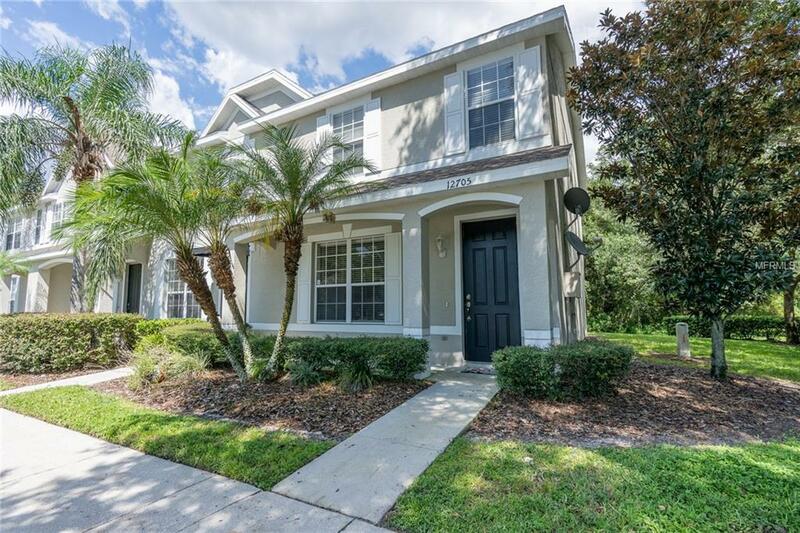 Located minutes from the Citrus Park Shopping Mall, Veterans Expressway, many restaurants, and just minutes from Tampa International Airport. Great home for entertaining or enjoying nature on the uncovered back patio. Move in ready!!!!!! Amenities Additional Fees Purchaser To Pay $75 Application Fee To Hoa For Approval. Pet Restrictions Please Contact The Hoa To Verify Animal Restrictions.